are teaming up to host a photo contest! We all have our favorite things about dragon boating. There is no doubt about it, it’s a great sport and we love it. Now it’s time to show off what you love about the sport: your team, the adrenaline rush of racing, your practice site, the camaraderie, your coach, the bling, the friendships, the travel. Whatever it is that keeps you coming back for more, share a photo of your idea of what epitomizes the spirit of dragon boating for a chance to win! Dry-fit silkscreened jerseys for the participants with paddlechica logo, Texas Dragon Boat Association logo and team logo or name. One team banner printed with the same logos listed above. Any person age 18+ may enter. Employees of paddlechica and Texas Dragon Boat Association are ineligible. 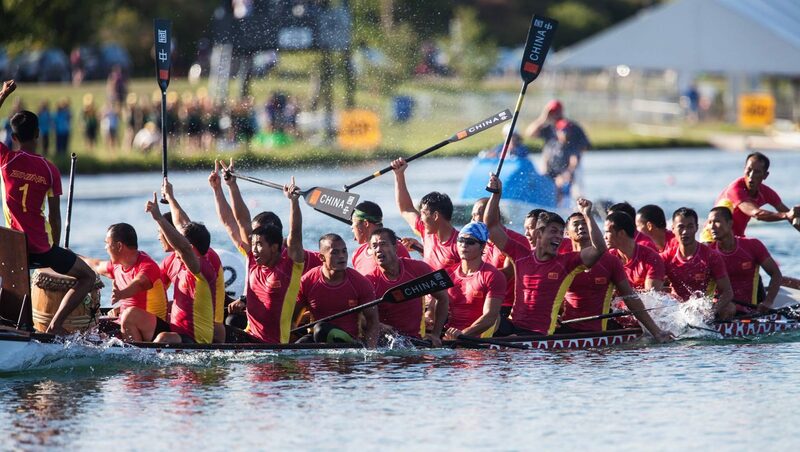 Three winners will be chosen by a panel of three judges (one photographer and two paddlers) based on how well their photo depicts the spirit of dragon boating. Winners have two weeks to respond and claim their prize. Race entry will be awarded by Texas Dragon Boat Association via email. All other prizes are contingent upon winner attending one of the three dragon boat races offered as the prize. Transportation, lodging and food expenses are not included in the prize and winner is responsible for all such costs. This promotion is not sponsored, endorsed or administered by, or associated with Instagram or any other social media used throughout the contest. Contestant must be the creator/owner of the entered image(s). This is a global contest and any person with a public Instagram account may enter. By entering you confirm you are 18+ yrs old, release Instagram of any/all responsibility and agree to Instagram’s term of use. Void where prohibited, no purchase necessary. There is no limit to how many photos you may submit, so take a look through those photos, enjoy the walk down memory lane, and start submitting today. We look forward to seeing your submissions. Good luck!